Emotional support animals also known as ESA are animals that provide aid to individuals who suffer from mental or psychiatric disabilities. These animals can travel with you from place to place and live with you to keep you calm in stressful situations but you must know the emotional support dog laws. Most of the time, these companion animals are cat and dogs, but other types of animals can be used as an emotional support animal. With this being said, you should know that there are certain laws that apply to these types of animals. If you are going to own an ESA, it is imperative that you fully understand these laws and how emotional support dog registration protects you. Below, you will learn more information about the laws that revolve around ESAs. The Fair Housing Amendments Act was established in 1988. This law requires landlords and housing communities that restrict pets to make reasonable accommodations for ESAs. Basically, this means that any verified ESA owner cannot be denied housing regardless of the terms written in the agreement. However, the Department of Justice wants to ensure individuals suffering with mental disorders that they are fully protected under the Fair Housing Act. You must have your disability diagnosed by a licensed mental professional. You must also obtain documentation of this diagnosis, which will have to be presented to the landlord or homeowner. The FHA also prevents landlords from asking for an advanced deposit or charge a fee for the pet. However, if damage is done to the property or it becomes apparent that the owner is not taking care of the animal these fees and deposits can be instituted. Landlords often try to avoid these emotional support dog laws and many are unaware that they even exist. With this in mind, you will need to prepare yourself for a fight, when attempting to obtain housing. The key is to equip yourself with the knowledge and documentation to back up your claims and your animal’s qualifications. We offer letters, certifications, and other necessities, which can help you, emerge victorious. Once the landlord has analyzed your documentation, he or she will no choice, but to let you and your support animal move in. ESA or emotional support animal are capable of providing the much needed support and assistance for an individual with a psychological disorder. If you are planning on traveling with your ESA, you will need to provide the airline with the appropriate documentation. Each airline will have their own regulations regarding ESAs, so be sure to contact a representative at the airline, before making your reservations. You may be asked to provide the airline with valid documentation from your primary care provider. This document should be composed on letterhead from a licensed healthcare provider stating that you have a mental disorder and an ESA is a necessity. Once you obtain this document, you should show up at the airport at least 30 minutes prior to your scheduled flight, so a representative can validate it. The date on the document should be no older than 1 year and must accompany the healthcare provider’s license number and state of jurisdiction. All of this information falls under the Air Carrier Access Act, which can be found online at the ADA website. If you are unfamiliar with this emotional support dog laws, it would be wise to read it thoroughly, so you know exactly what to expect when flying with your ESA. Owners are not required to put their animal through an extensive training course, in order to classify it as an ESA. However, it is still imperative for the owner to take full responsibility of their animal. This will include, but limited to protecting the public from potential danger, keeping your apartment or flat clean, and keeping the barking noises to a minimum. You want to be a good neighbor, by respecting other’s privacy and maintaining control of your ESA. 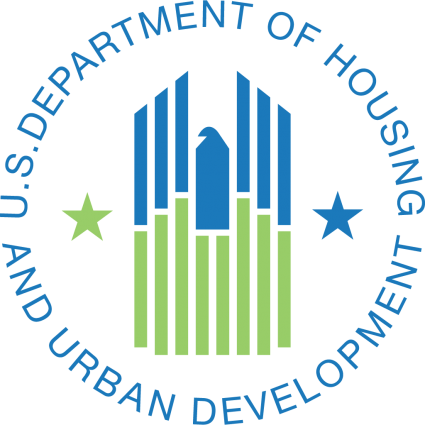 On April 25, 2013 the Department of Housing and Urban Development invoked a rule stating that all college dormitories had to follow The Fair Housing Act. So, if you are going to college where you will be living in a dorm and require the assistance of an ESA, you cannot be denied housing as long as you are a verified ESA owner. Remember, we have all of the documentation and apparel needed to distinguish your animal as an official ESA. We sincerely care about you, your dog, and your condition. Our certifications are readily available, cost-effective, and will help you overcome any obstacle standing in your way. If you need any assistance, feel free to contact one of our representatives, today.